An outstandingly attractive and yet fairly undemanding walk in the Pembrokeshire Coast National Park from the harbour village of Solva. 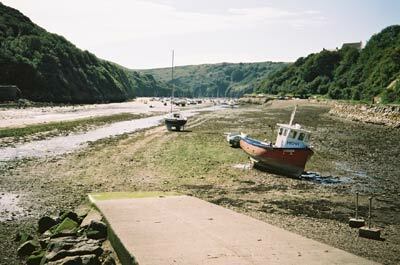 The route climbs to Cribyn ridge above Solva harbour, a grand viewpoint. It continues to Pointz castle. After turning back towards the sea, the return is a great cliff top ramble, later climbing to Cribyn ridge again and descending back into Solva.